Monthly Promotion Trigger Refer A Friend Trigger Your browser does not support the audio element. Enjoy comforting, holistic balance of mind and body with a cup of exclusive tea. Specially selected, organically cultivated herbs and spices impart unique aromas, and promote natural equilibrium. Carefully blended for each dosha type and for many everyday situations. Based on original Ayurvedic recipes; in practical teabags for easy handling. 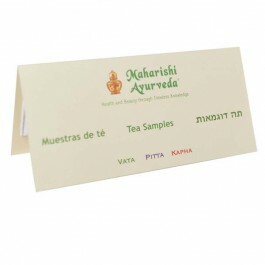 Listen to your body's inner intelligence and choose your personal Ayurvedic tea according to your taste and mood. 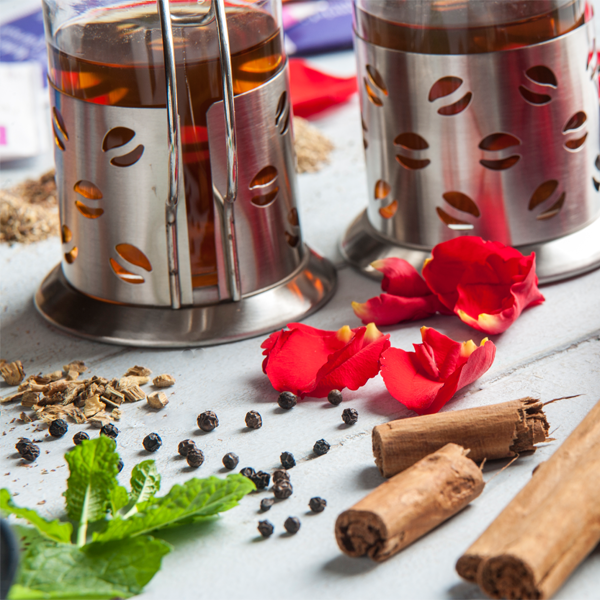 Maharishi AyurVeda tea infusions contribute to a holistic balance of mind and body. With aromatic ingredients such as liquorice, cinnamon, cardamom and ginger, this tea has a full and sweet aroma, with no added sugar. It has a soothing, warming and harmonising effect on the Vata dosha. Vata tea is particularly soothing at times of demanding mental work and is perfect for drinking in the evening and when travelling or in cold, windy weather. Feeling listless, tired or cold? Ginger, cloves, black pepper, turmeric and saffron lend the hot and spicy tea an exceptional distinction. It warms from the inside out and is particularly pleasant in cold, wet weather and in spring. Lemon makes this an especially refreshing pick-me-up! All ingredients originate from certified organic farming. 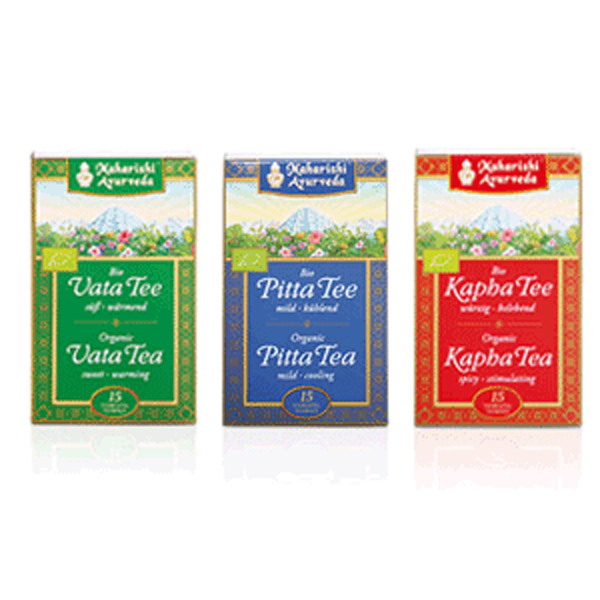 One each - Vata, Pitta, Kapha tea bags.